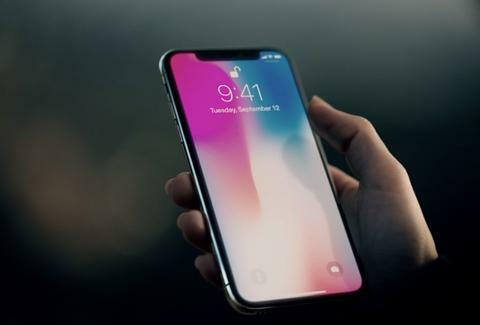 While it's no secret that Apple's iPhone X offers an impressive slate of new specs, the new handset's steep starting price has raised more than a few eyebrows since the company unveiled it on September 12. But despite charging $1,000 or more for the vaunted new phone, Apple CEO Tim Cook claims you'll actually get a bargain deal if you choose the iPhone X. During an appearance on "Good Morning America" on Tuesday, Cook said the $1,000 expense is worth it, partly due to the device's augmented reality (AR) software, facial recognition tech, bezel-less OLED display, and wireless charging capabilities. Moreover, he claims the variety of payment options you can use to finance the phone over time will make the quadruple digit price tag less daunting. “Well, it’s a value price, actually, for the technology you’re getting," he said. "As it turns out most people are now paying for phones over long periods of time. And so very few people will pay the price tag of the phone initially. Also most people actually trade in their current phone, and so that reduces the price further, and some carriers even throw in subsidies and discounts." While Cook's justifications might prove accurate, shelling out for the iPhone X will certainly be necessary for anyone looking to nab one of the most sophisticated phones on the market. When compared with the iPhone 8 and 8 Plus, the iPhone X clearly promises splashier technology, not to mention a beefed up battery that purportedly lasts two hours longer than the standard iPhone 7. Still, determining whether or not something so expensive can really be called a bargain is a decision ultimately left to the consumer. You'll be able to asses whether the $1,000 device lives up to the hype when the iPhone X arrives in stores on November 3.